Every year the Rice Fair in Isola della Scala receivesabout 500.000 people who's a businessmen who's a tourist and who's a visitor. The Fair celebrates the ribbon-cutting for its 52nd edition, scheduled from September, 12nd and October 07th, 2018! 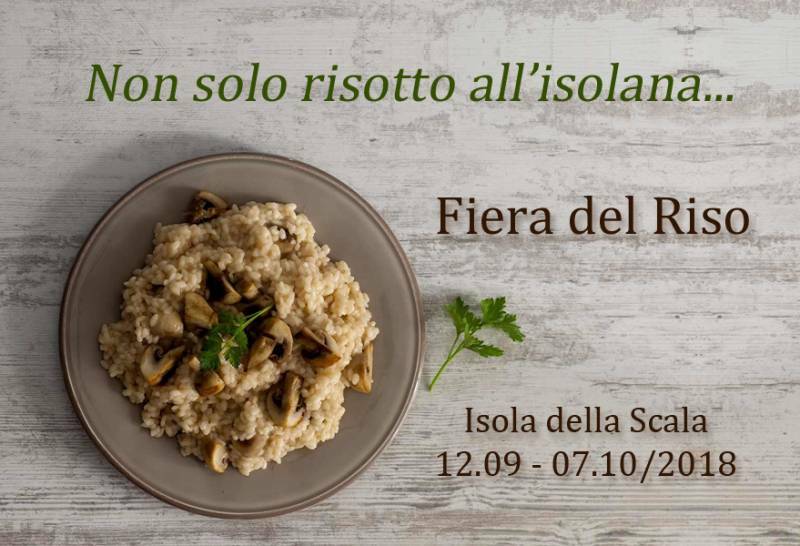 The Rice Fair in Isola della Scala 2017, better known as "The city of the rice", only 20 minutes away from Verona, is one of the most loved and most popular event in Italy. The goal is the enhancement and promotion of the "Nano rice Vialone Veronese IGP", the local product par excellence and the only rice of the European Community that has been awarded PGI status. The "Palariso" is the modern and technological building that has hosted the Rice Fair for many years and covers about 90.000 mq and lodges many wine and food contests, many stands for the rice-selling and for tasting several plates realized by many exhibitors. Furthermore, you can take part to guided tours which are aimed to the promotion of the "Strada del Riso" (Street of the rice) lying among rice fields and old historical boroughs full of traditions, local rice-mill and typical products from rice. The Rice Fair is a very expected event carefully prepared and great passion for the local products and for the territory. 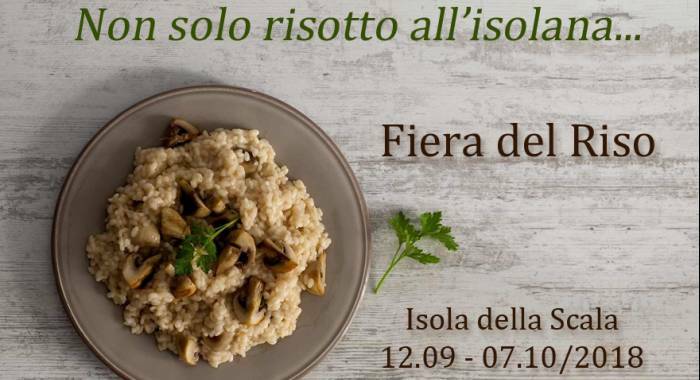 This is an invevitable moment in Veneto Region's calendar and we are quite sure the quality of the rice, the local products and wine are the best. In addition, the Fair will host roundtables, tourist trails, cooking labs for children and Risitaly that offers Italian recipesi consigliamo for risotto and theopportunity to visit a territory full of history, culture, traditions and good food. If you choose to spend a weekend enjoying the fair, we will wait for you with a big smile at our country Relais b&b Otto Ducati d'Oro to organize at best you overnight and stay for work or pleasure at the rice fair 2018. Please, contact us directly for more details and booking! Die Reismesse vom Quartier innerhalb von 3 min. erreichbar, echt Super da kann man sich den Prosecco so richtig schmecken lassen. Für Fahrradtouren zentral gelegen Verona, Soave und Mantua mit dem Fahrrad bequem zu erreichen.